The most gorgeous male strippers in Manhattan are here! Hunkamania has the absolute best male exotic dancers team in New York and Atlantic City. Hunkamania's hottest dancers in New York. Make for your dream party a reality because strippers know how to get the party started! Hire a NY Male Exotic Dancer for your entertainment. 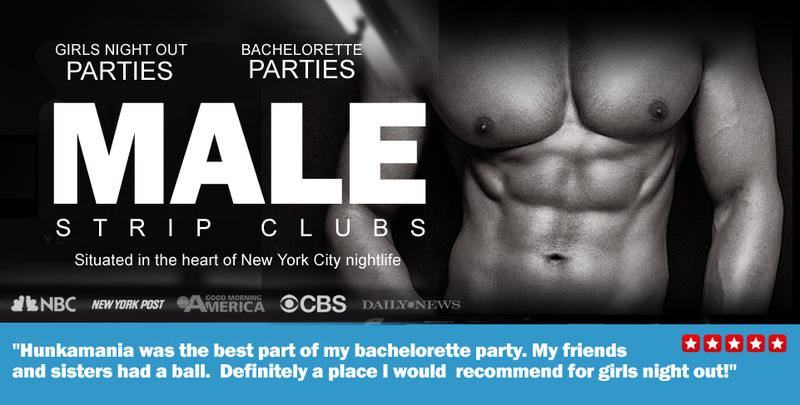 Girls Night out parties and Bachelorette Parties Simply Love This! Ladies, making your next special occasion a totally delicious experience has never been easier. Our talented and courteous male dancers are the perfect addition to your private in home parties. Considering entertainment for a toy party? Then hire our strippers or male dancers for your special party. We rent male strippers all over New York. Our male strippers are ready to come to you any where in the US. Call us for instant services and price.